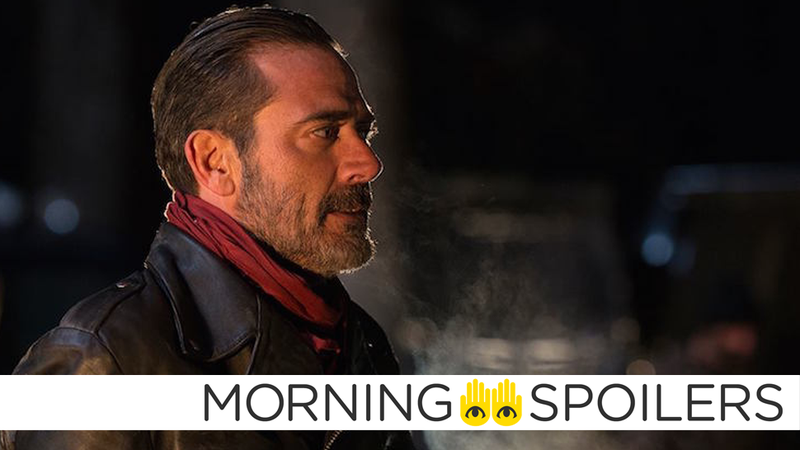 Is The Walking Dead Already Looking For Villains Beyond Negan? Natalie Portman says she’s done with Marvel. There are more teases for Flash and Supergirl’s musical crossover. The Punisher is already beginning casting for its supporting characters. Plus, new looks at Scream and Scream Queens, and Ray Palmer gets an interesting armor update in Legends of Tomorrow. Spoilers now! As far as I know I’m done. I don’t know if maybe one day they’ll ask for an ‘Avengers 7' or something. As far as I know I’m done, but it was a great thing to be a part of. The series currently casting the role of Brion, an “educated, poker-faced leader.” The role could be either male or female—which people have already started speculating means that, if female, the show is looking to cast some version of recent comic antagonist Alpha. [I]f we can get a dance sequence in there on top of it, I would love to do that. Listening to Joe as the lounge singer, singing, and to see Grant and he was karaoke-ing first season, and even watching Danielle, not being able to sing ... I’m just really excited, to be honest, to see how it all comes together. I know Greg [Berlanti] is very close to this story. He’s been thinking about it — I don’t know how long, probably not just yesterday, you know what I’m saying? He’s been percolating. Seeing Jesse sing, seeing Grant sing, it’s just one of those — like whoa, we can totally pull this off. I don’t know why we wouldn’t do this. Let’s go for it. This year in general we’re really swinging for the fences. Here’s a new look at the show’s Halloween special, which will supposedly resolve the latest season’s dangling plot threads. We would have Roy back in a heartbeat. If the right circumstances come up and the right storyline presents itself, absolutely. Here’s a new teaser for the show. Finally, here’s Ray Palmer as Samurai Atom on a horse.